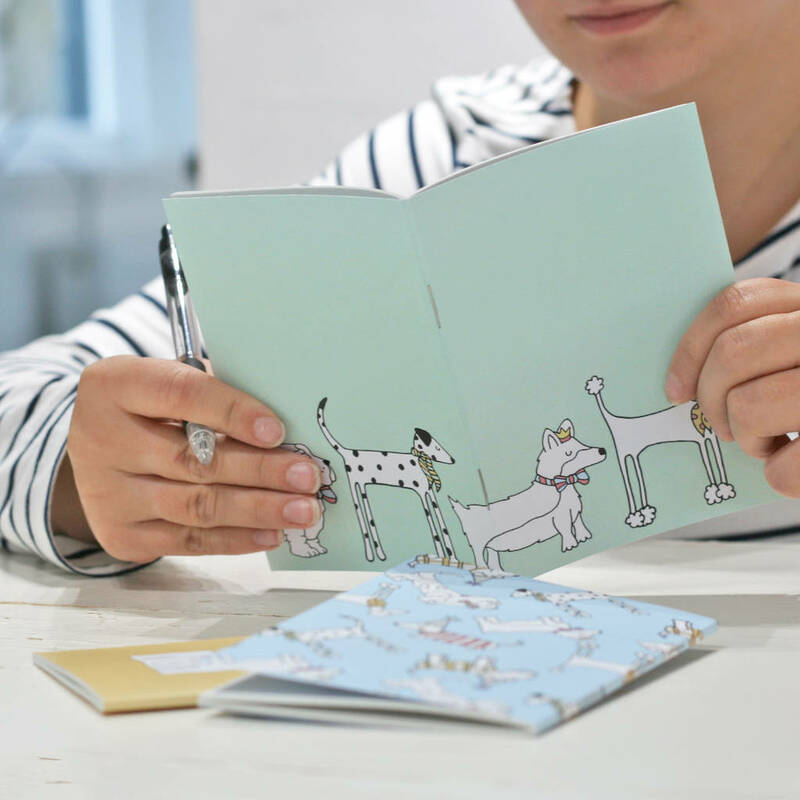 These A6 notebooks feature a selection of dogs including a corgi, a poodle and a sausage dog. 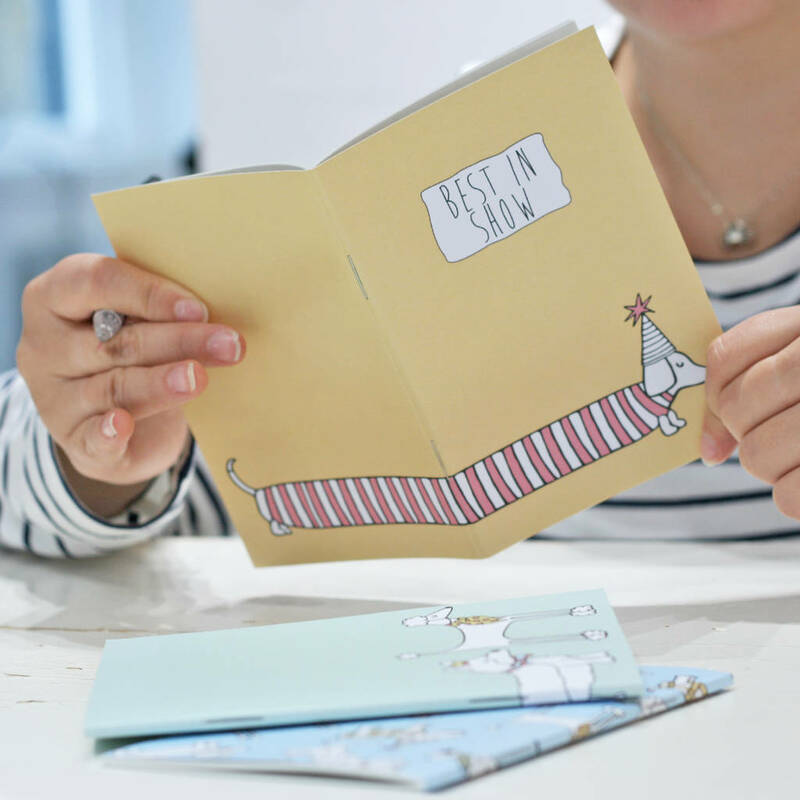 Add some fun to your stationery collection with these cute notebooks. 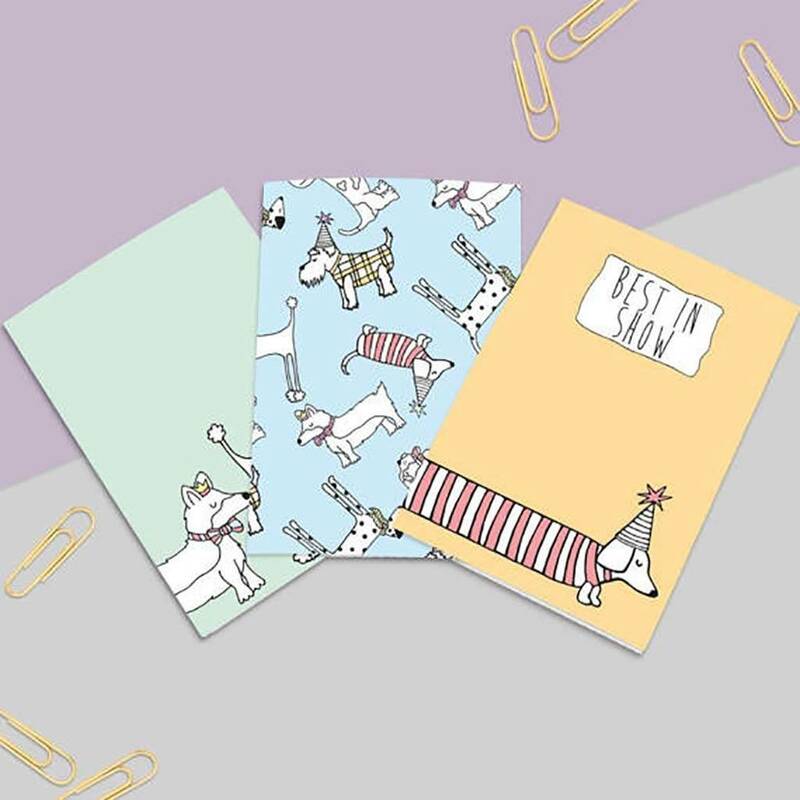 This dog notebook set includes three notebooks; a blue one with an illustrations of various dog breed, an orange one with an extra long sausage dog and a green one with a line of dogs including a poodle, dalmatian and a corgi. 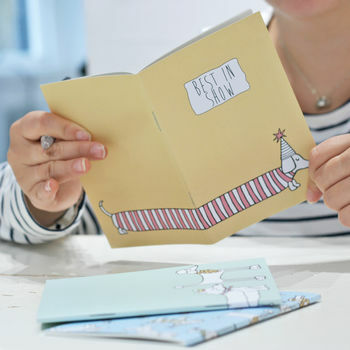 These notebooks are A6 in size which makes them perfect for putting in your pocket or handbag. 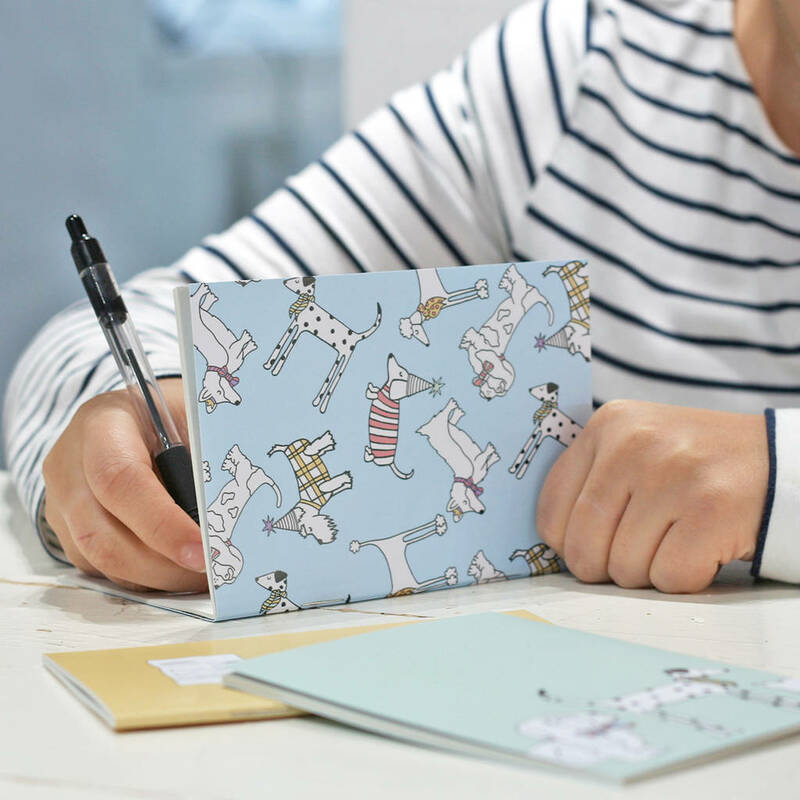 This notebook set would make an ideal unusual gift for the dog lover in your life. 100% recycled paper. Cellophane packaging.